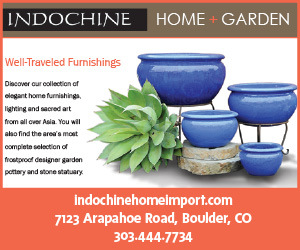 in your garden for these native plants. 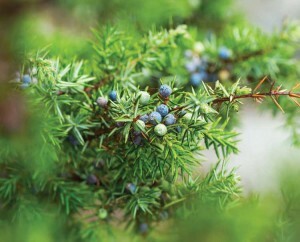 Native shrubs often lack appeal when viewed at the nursery. 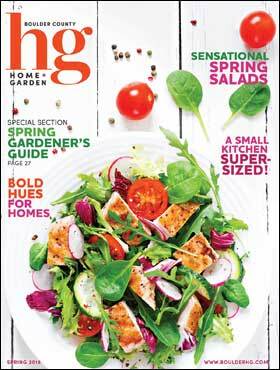 Compared with the fancy flowers of azaleas, hydrangeas and peonies—all tricked out as if they’re heading to a gala—it’s easy to overlook the scraggly vegetation in the native-plants corner. In the long run, though, calloused stems and lack of frills indicate better endurance when temperatures turn arctic in winter and scorching in summer. In fact, when freed of their nursery pots many natives become stunners in their own right. Consider the lowly rabbitbrush (Ericameria nauseosus). 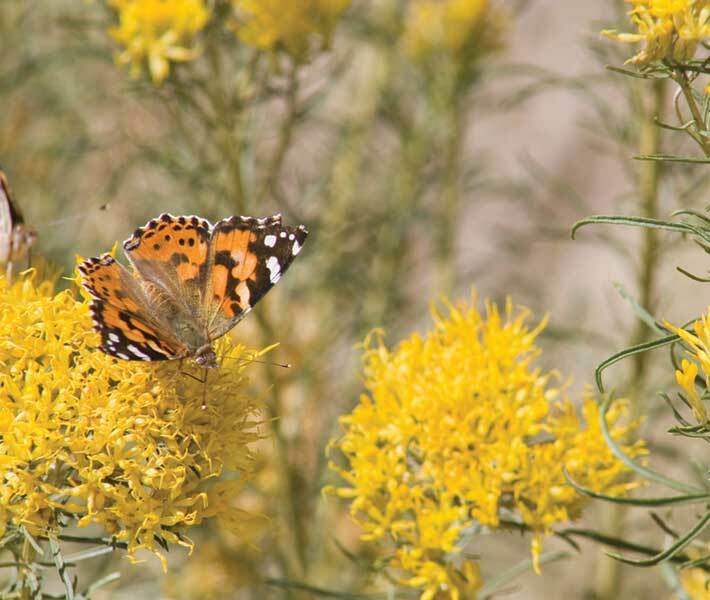 Once banned from polite landscapes as too “weedy,” rabbitbrush in bloom is a butterfly magnet that never needs irrigation past the first few months of establishment. This shrub is a silver cloud in summer, briefly gilded in late summer with yellow-gold flowers that become pale ochre seed heads in fall. Grow rabbitbrush in full sun and in any soil, except wet. 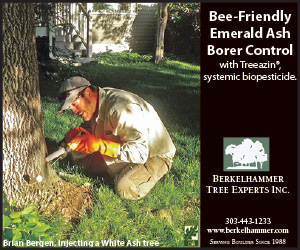 To keep the plant compact cut the branches back by two-thirds in spring. Rabbitbrush pairs well with fernbush (Chamaebatiaria millefolium). 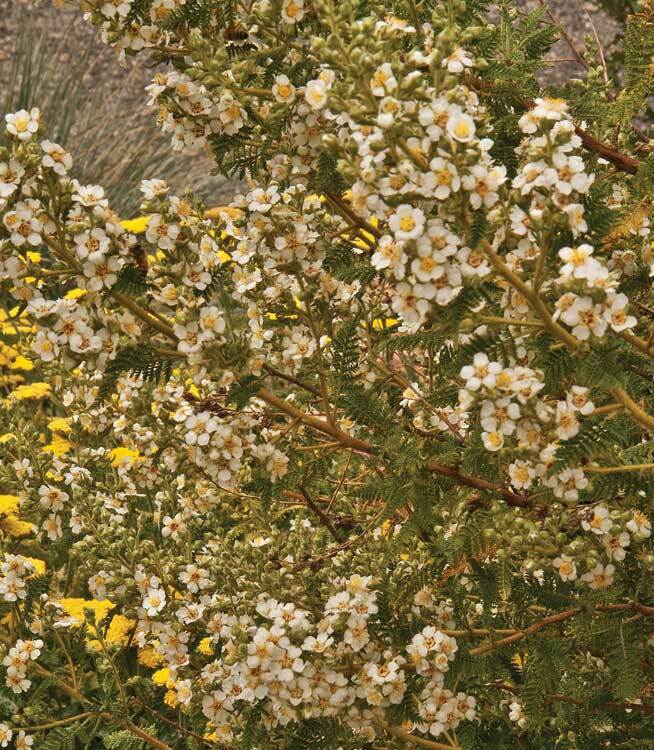 Not actually native to Colorado proper, fernbush hails from rocky regions throughout the Colorado Plateau area. It thrives and blooms in such improbable places as inside the lava tubes at Idaho’s Craters of the Moon National Monument and on Death Valley’s western slopes. 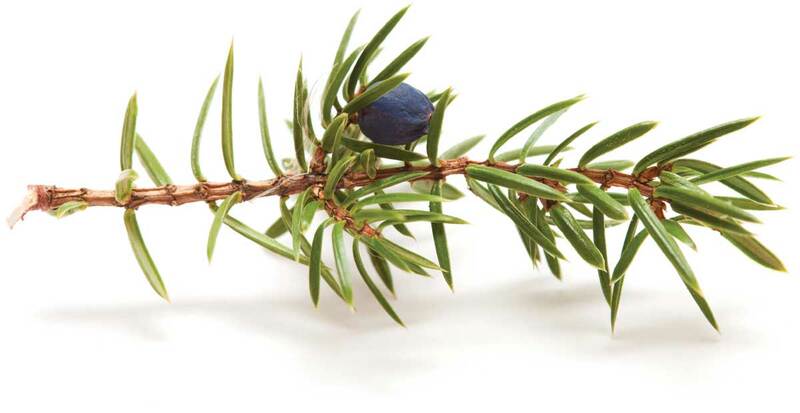 The leaves, evergreen in all but the harshest winters, are fernlike and pleasantly aromatic. Charming white flower clusters in July provide nectar for honeybees and countless native bees and wasps at a time of year when most of our native shrubs are indulging in a summer nap. 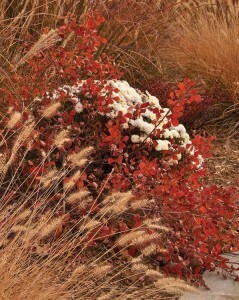 For partial shade, you can’t beat skunkbush sumac (Rhus trilobata), a drought-tolerant deciduous shrub. 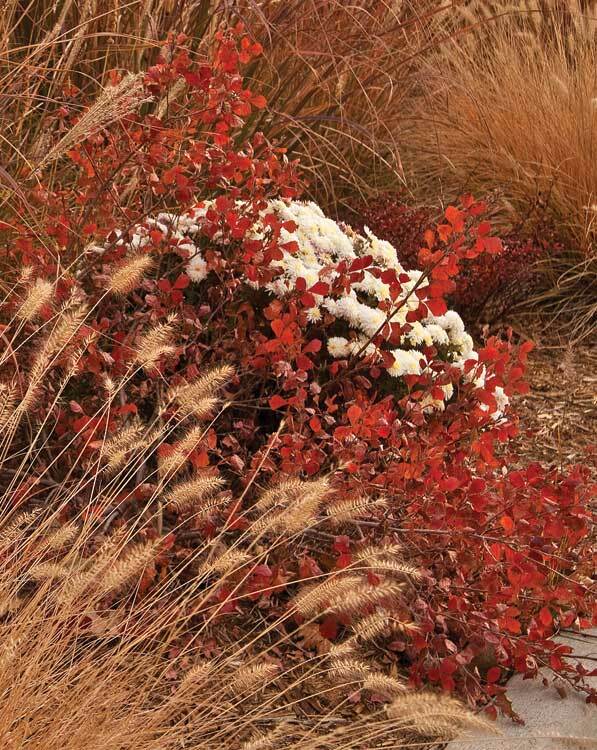 It will grow in full shade but won’t provide the blazing color that makes it a fall landscape essential unless it gets at least a few hours of direct sunlight each day. The yellow spring flowers are more or less unexciting, but are followed by edible reddish-orange berries. Skunkbush foliage is medium green, making it a good neutral in an understory beneath pines. 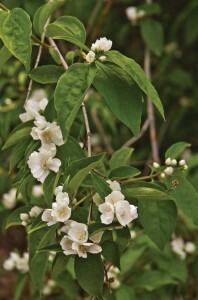 Another adaptable regional native that accepts sun or shade is the mock orange (Philadelphus lewisii). 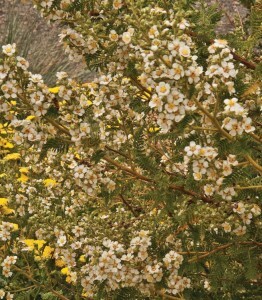 This plant has bright-green foliage uncommon in xeric shrubs, and showy-white fragrant flowers in late spring reminiscent of orange blossoms. For better flowering and faster maturity, grow mock orange where it feels full sun on its face for part of each day and in soil that isn’t powdery dry. A couple of native shrubs are up to the challenge of dry shade. Most junipers perform poorly in low light, but common juniper (Juniperus communis) sedately spreads along forest floors in the Rocky Mountains. This evergreen will persist in tree roots where little else grows and will mature more quickly with supplemental irrigation. 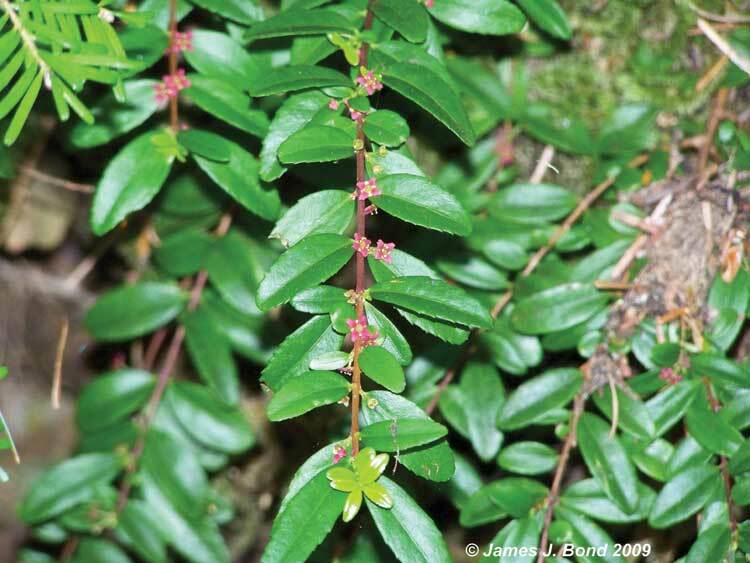 Another tough native with holly-like leaves is mountain lover (Pachistima myrsinites). Don’t let it loose in the garden, though. This broad-leafed evergreen suckers—a useful attribute when growing in bare dirt but not when mugging other garden plants. After eradicating every shoot, I replanted mountain lover in the dry shade of a mature chokecherry next to a common juniper, where it doesn’t make a nuisance of itself. Feel free to invite a few high-maintenance beauties to your garden gala, but include some easy-care natives in your landscape, too. 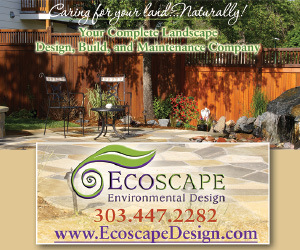 The birds, the bees and the earth will thank you!